Eastern African leaders have, at the sidelines of the African Union Summit this morning, approved the agreement on the establishment of the Eastern Africa Standby Force elevating it from the status of a memorandum of understanding. 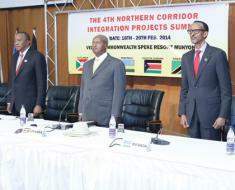 President Yoweri Museveni is in Nairobi, Kenya to attend a one-day Northern Corridor Integration Projects Summit. 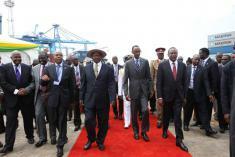 The President was seen off at Entebbe International Airport this morning by Vice-President Edward Kiwanuka Ssekandi.